CALUMET CITY (WLS) -- A dog that worked for the Calumet City Police Department died on Saturday. 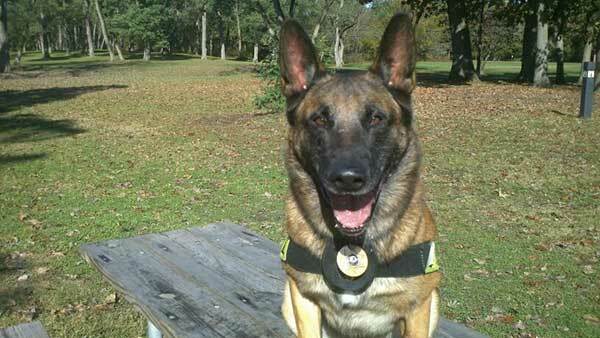 K9 Chico, a Belgian-Malinois, passed away from cancer after working for Calumet City Police for almost seven years. The memorial services will be held at Castle Hill Funeral Home in Calumet City on Feb. 28 from 12 p.m. to 2 p.m.